For many years the person responsible for the allocation of housing was Stewart Thomson, the chief cashier at the colliery, whose own home was the former Bothwellhaugh farm. According to Robert Duncan’s booklet Stewart Thomson was widely regarded with hatred and fear, and there was a general perception that he was inclined to allocate houses that were larger and had more facilities to staff who cooperated more readily with managers. Eventually, however, the miners’ union demanded a fairer process, and a system of points was introduced in the 1930s. No history of the Hamilton Palace colliery would be complete without some account of the industrial relations between the company and its staff. Again, a lot of information has been given in Robert Duncan’s booklet, or alternatively you can read about many of the incidents on the Scottish Mining website. Here I will simply summarise two major episodes. During the General Strike of 1926 (look it up on Wikipedia under “1926 United Kingdom general strike” if you want to know more about the general context) the Lanarkshire Miners Union called all underground staff at Bothwellhaugh out on strike, and they remained out for several months. The union allowed safety staff to carry on working, but only to perform their usual tasks. The company responded by taking on temporary workers to maintain some coal extraction. 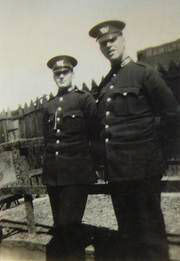 They were protected by police from attacks by striking miners. In October 1926, 23 weeks after the start of the strike, a few miners began to go back to work. Five of them were subjected to threats on their way home from work, being warned that they would be “hung up on trees” if they continued to go to work. Ten of those responsible for the threats were prosecuted, with nine being fined and the other sent to prison for a month. Soon afterwards the company sacked the safety staff when they refused to carry out work outside their normal job description. Again the company took on outsiders to do the safety work. There were a number of incidents when striking miners impeded the temporary workers and those who had returned to work, and assaulted them on their way home. Of the various cases that came to court several resulted in acquittal, but John Delaney of 5 Roman Place, Henry Murphy of 20 Douglas Place, and Patrick Sherry of 8 Avon Place were found guilty and sent to prison for two months. During November 1926 the miners were forced to capitulate and return to work. 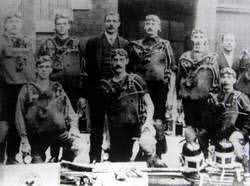 Some were victimised or blacklisted by Stewart Thomson and the colliery manager Robert Lang. Firmer control over wages and conditions was imposed, and there may have been some reduction in average pay. Another outcome of the general strike was that the Bent Colliery Company refused to recognise the Lanarkshire Miners Union, instead creating a pit committee with representatives nominated by management. 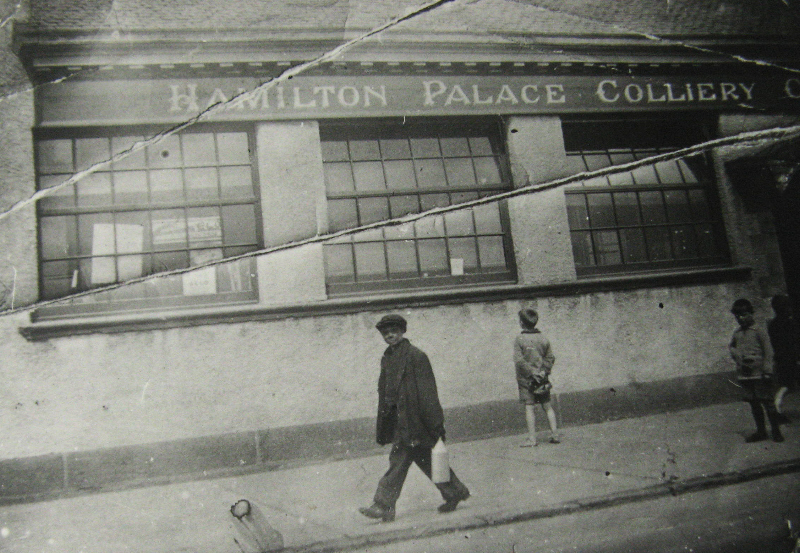 In the early 1930s a new management team were appointed at the Hamilton Palace. Partly motivated by a wish to avert the threat posed by a militant breakaway union, the United Mineworkers of Scotland, the new team decided to recognise the Lanarkshire Miners Union again. 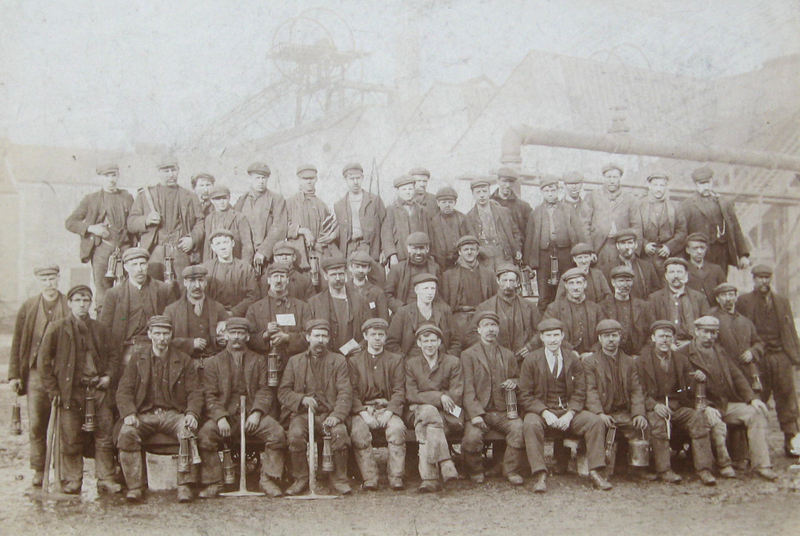 On this occasion a significant number of miners were unwilling to join the union. The LMU pressed for a closed shop, a compulsory 100% membership. 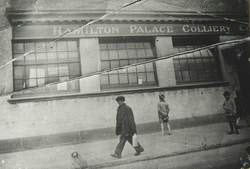 In November 1936 they called 800 Hamilton Palace workers out on strike for one shift in support of this objective. Management responded by locking out the striking miners, but allowed them to return to work two days later. The issue of the closed shop was not settled until after nationalisation of the coal industry in 1947, when the company was forced by the National Union of Mineworkers to persuade the remaining non-members to join the NUM or lose their jobs. 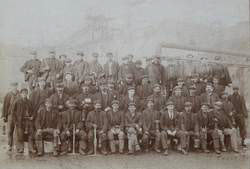 Miners at Hamilton Palace Colliery, with their lamps and tools. Joe McNamee, aged 14 from 47 Brandon Place, outside the Co-op on his first day at work in the colliery. 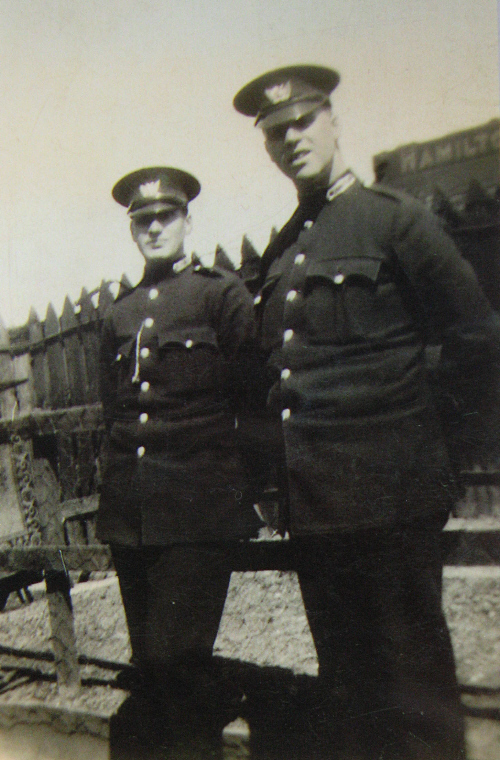 Two constables at Bothwellhaugh. The tough looking one is Arthur William Harris.